We supply customised school uniforms in Australia and overseas at very competitive prices. 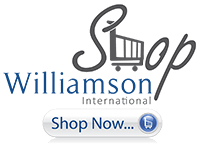 We are a 100% Australian, Brisbane based, family owned and operated company with over 45 years’ experience in the design, manufacture and supply of school uniforms. The Uniform Company is a preferred supplier of school uniforms to the Department of Education, Training and Employment of the Queensland Government. We supply wholesale uniforms and attire for students and staff to educational facilities across Australia and are a preferred supplier of school uniforms in Queensland. We offer FREE freight for orders over $500. Whatever your needs, we can design, manufacture and supply you with quality wholesale products in Melbourne, Sydney, Perth, Brisbane, throughout Australia and overseas. For more information on our productswe supply to schools in Perth, Melbourne, Sydney or anywhere in Australia or overseas, you are welcome to visit our wholesalers showroom at 61 Links Avenue North, Eagle Farm, QLD, Brisbane,call us on 1800 815 571 or complete our online enquiry form.